destination as comfortable as possible. provide a continuous service to the airport 7 days per week. commencing between 4am and completing at 10.00pm (flights after those hours need to be checked for availability). 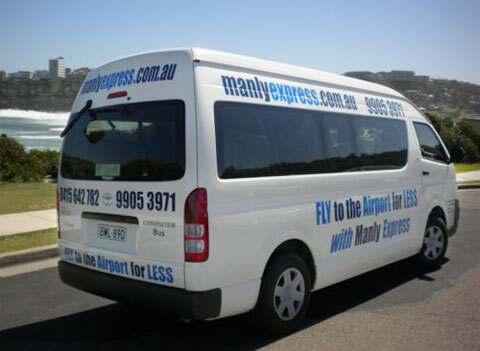 The Manly Express Airport Shuttle Service may be new on the scene but we have put in place a team of drivers with over 15 years experience in the industry. Our motto is ‘’fly to the airport for less’’ and we aim to provide a reliable and cost effective shuttle service with the least amount of fuss or stress for our clients. Our comfortable vehicles and professional drivers are here to service the Northern Beaches all year round Including Christmas Day, Boxing Day and New Years Day.